Member of the Audit, Risk & Compliance Committee and member of the Nomination & Remuneration Committee. 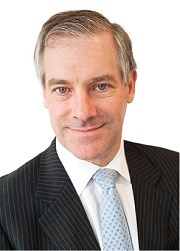 Geoff has had a career in investment banking spanning more than 30 years. He is currently Chairman of Sims Metal Management Ltd and MetLife Insurance Ltd. He is a Director of The Wentworth Group of Concerned Scientists and Purves Environmental Custodians. Geoff was previously Managing Director and Head of Investment Banking of Merrill Lynch International (Australia) Limited until 2009. Geoff was a member of the listing committee of the Australian Stock Exchange between 1993 and 1997, a member of the Takeovers Panel between 2007 and 2016 and Chairman of Redkite (supporting families who have children with cancer) until 2015 and is now a Patron. He is a Fellow of FINSIA, a Fellow of the Institute of Company Directors and a Fellow of The Institute of Chartered Accountants in Australia. Chairman of the Audit, Risk & Compliance Committee and member of the Nomination & Remuneration. Jennifer brings 25 years’ experience across investment banking, financial communications and investor relations. She was formerly the Chief Operating Officer in Australia of the independent investment bank Greenhill & Co. She has extensive experience in enterprise management, including the supervision and management of compliance, HR and financial management. 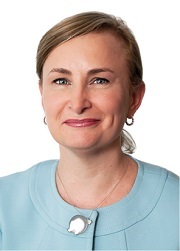 Jennifer is also a director of QV Equities (ASX: QVE) and is Chairman of Redkite (national cancer charity supporting children and young people with cancer and their families) and a Director of Breast Cancer Trials (leading independent clinical trials body in Australia & NZ). Chairman of the Nomination & Remuneration Committee and member of the Audit, Risk & Compliance Committee. Michael has 40 years of global business experience in chief executive and general management roles and more recently in non-executive directorships. He has lived and worked in overseas locations including the USA, has been involved in a range of industries and has specialised in corporate and property finance and investment, property development and funds management. 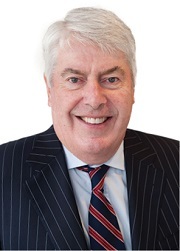 His career has included lengthy periods in corporate roles including 10 years as one of the Global General Managers of the National Australia Bank Group. He has extensive experience in mergers and acquisitions, capital raising and corporate structuring. 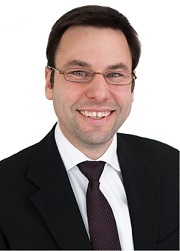 Michael is a non-executive director of the responsible entity of the listed Charter Hall Education Trust. He is also a non-executive director of a number of unlisted companies and has had considerable involvement in the not for profit sector. Independent Director since March 2018. Howard has a long history in the Australian property investment industry with over 30 years’ experience analysing and investing in the sector. Howard joined APN FM in 1998 and was responsible for establishing the APN FM business. In this capacity he developed a suite of new property securities and direct property funds, including the flagship APN AREIT Fund and the APN Property for Income Fund, both market leading property securities funds in Australia. Prior to joining APN FM, Howard was co-founder and research director of Property Investment Research Pty Limited, one of Australia’s leading independent research companies, specialising in the property fund sector. Howard is also a director of APN PG (since 1998) and National Storage Holdings Limited (since 2014) and National Storage Financial Services Limited (since 2015), both listed as National Storage REIT (ASX Code: NSR). Alternate Director since March 2014. 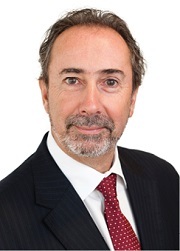 Michael’s professional career includes over seven years with KPMG Melbourne, where he worked closely with a number of major listed companies and stockbrokers before moving to the United Kingdom to work in the financial services industry and for a government regulatory body. Since joining APN in 2006, Michael has had broad exposure across all areas of the group, and was appointed Chief Financial Officer in June 2014. Michael is responsible for accounting, taxation and treasury across the business and is a key contributor to setting APN’s direction and strategy. Company Secretary since December 2016. Chantal is the Company Secretary for the APN Group and is responsible for the company secretarial, corporate governance, risk management and compliance functions. Chantal has over 15 years’ experience in corporate governance, risk management and compliance across the financial services industry. 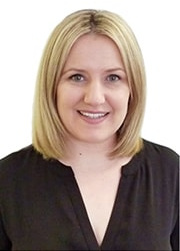 Prior to joining APN in 2015, Chantal held compliance and risk roles at Arena Investment Management, Tabcorp and Invesco Australia. Chantal is a member of the Governance Institute of Australia.